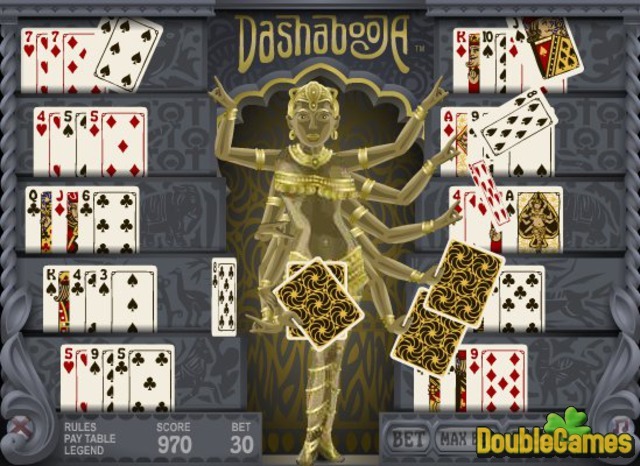 The game Dashabooja will match everybody's taste, first of all due to it gorgeous graphics. When you plunge into the gameplay though, you can be a little scared or disappointed if you can't play poker. However, this impression is quite illusory, because you can play Dashabooja even you have no idea of card games. The rules are very easy to understand, as they are described in detail before the game starts. Just believe in your luck and get down to the game! 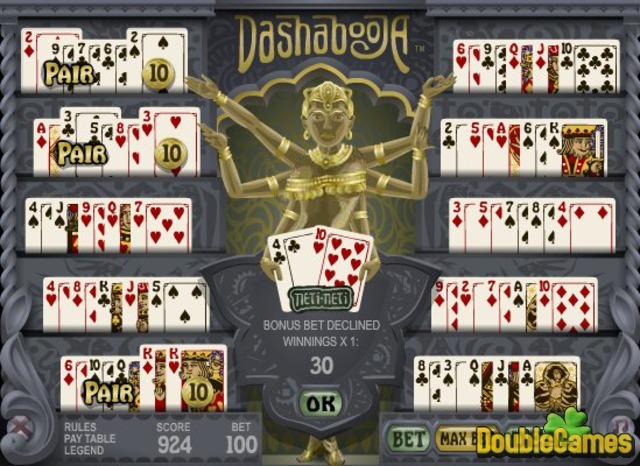 Play Dashabooja online and take chances! 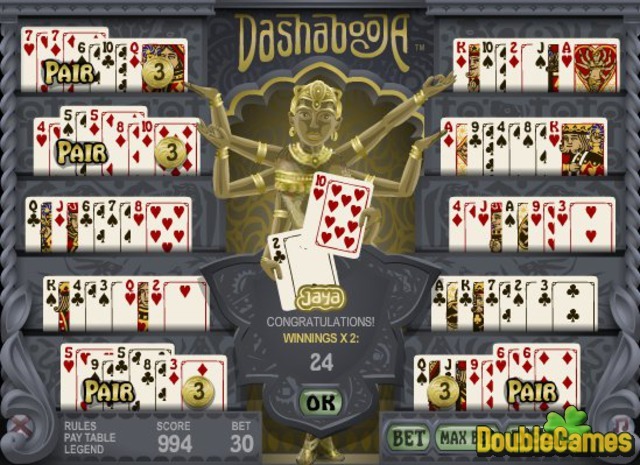 Title - Dashabooja Online Game Description - Don't pass by Dashabooja, a Board & Cards game devised by Big Fish Games. Play poker online and trust to luck!